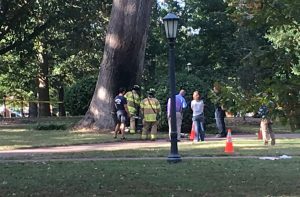 There was turmoil on the center of campus Thursday as an explosion injured a UNC professor and damaged the university’s most historic tree. Meanwhile, police arrested a former student who ran naked from the scene and is suspected of igniting the blast. 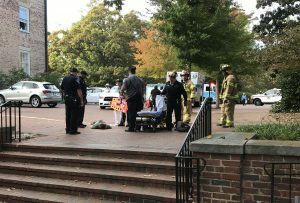 David Doochin was on the scene as the story unfolded.